A couple of weeks ago I attended a team training day and participated in a group swap with 5 other demos. 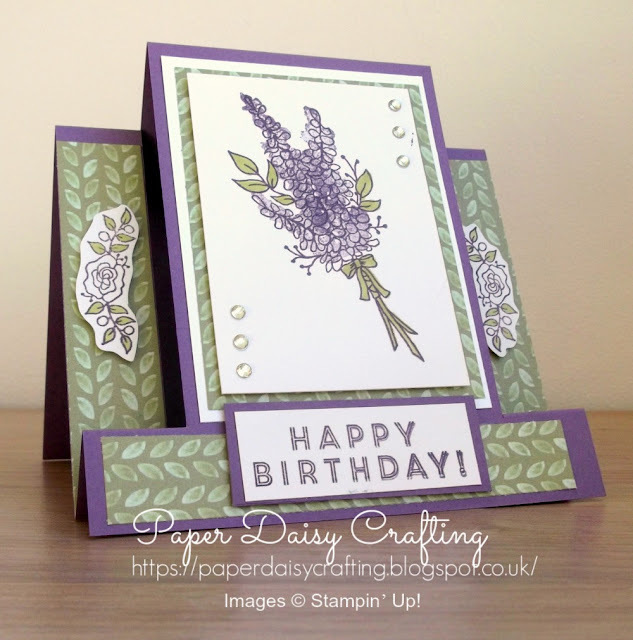 The only stipulation for the swap was that we had to use the FREE Sale-a-bration stamp set, Lots of Lavender. I've already shown you the Mini Pizza Box containing 4 little mini cards that I made as my swap. This was one of the cards I received. It was made by Jennifer Cooper, who is another demo in our team. It is very cleverly made with some fancy folding and I love it. The patterned paper Jennifer has used is from the Delightful Daisy pack and as well as the Lots of Lavender stamp set, she has use the Eclectic Expressions for the Happy Birthday message. I've listed the other products Jennifer has used below. 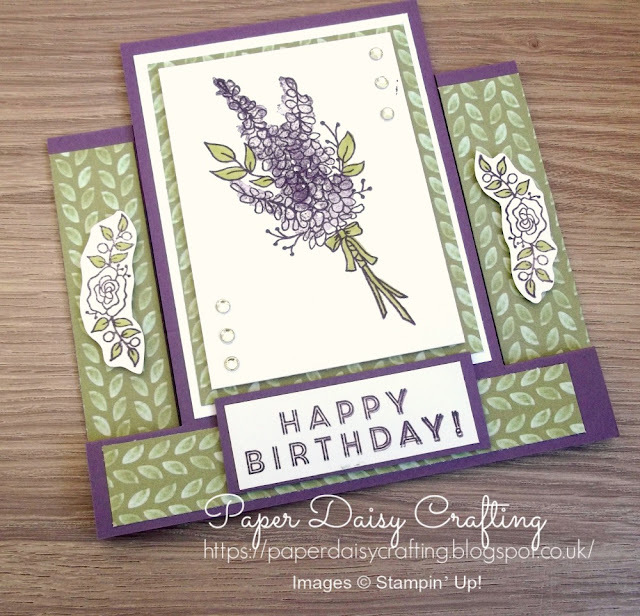 Hope you like her card as much as I do!